The exodus of God’s chosen Israel is the greatest story of redemption in the Old Testament. 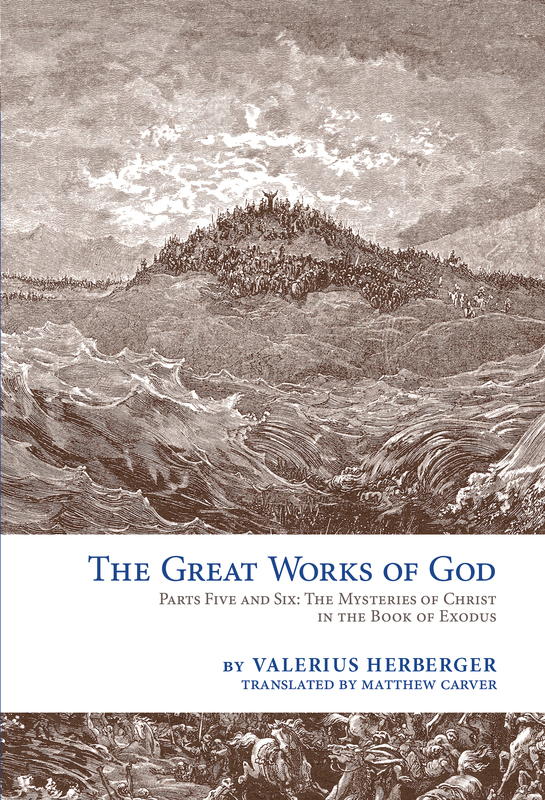 In more than 120 Christocentric, devotional meditations on the book of Exodus, Valerius Herberger shows his fervent belief that Jesus Christ is the center of every part of Scripture. Herberger does not seek to give an academic analysis or a grammatical exposition of each passage, but rather to emphasize the life and work of the Son of God. In these meditations the reader will find spiritual and practical applications for every Christian today. Intertwining the words of Scripture and the poetry of the Church’s hymnody with his own pastoral insight, Herberger teaches the faith and preaches the truth of salvation in Jesus. *This translation was underwritten by the M.Div. class of 2018 of Concordia Theological Seminary. The students partnered with Matthew Carver and Emmanuel Press to publish this volume as their class gift, which is a theological treasure not only to the seminary but to Christians throughout the world.